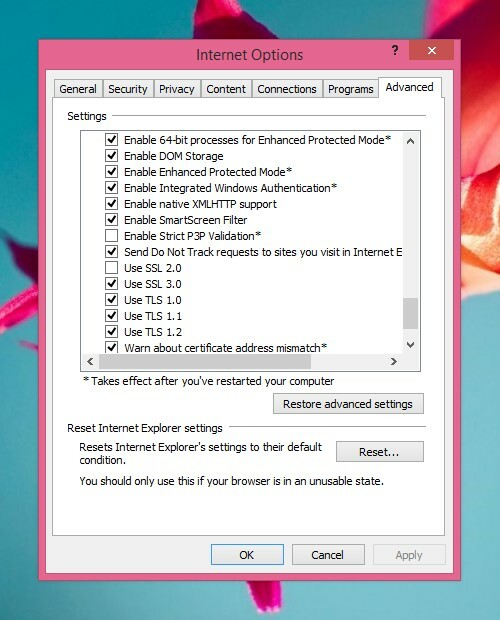 As noted in my previous post, Microsoft Edge unfortunately does not support Tracking Protection Lists (TPL), a useful feature that was present in IE. Also the add-on support in Edge has been postponed several times, but there is still a solution to block ads in Microsoft Edge. Hosts-based ad blocking. 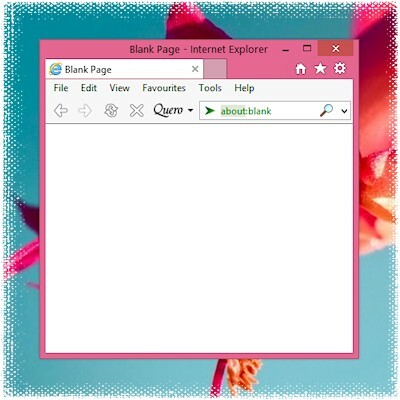 This is a long known method which was also used by some for blocking ads in IE. Hosts-based ad blocking has its advantages. 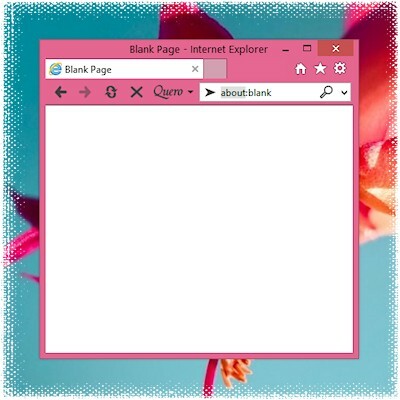 It is transparent, standards based, does not require any add-ons and works in all browsers. On the downside, this approach only blocks 3rd-party content on the domain level and is not as flexible and powerful as TPL or in-browser solutions, but in practice, as my first tests show, works astonishingly well. Give it a try and please report ad servers/sites which are not correctly blocked in order to improve the list over time. 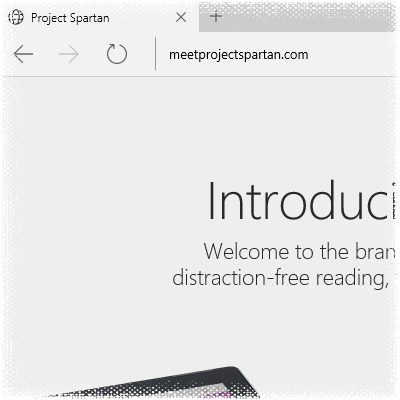 Microsoft Edge, the official successor of Internet Explorer, has a beautifully designed new user interface and Cortana built into the address bar, but Edge does not support the privacy and advertising protection of IE if we do not demand it. Vote for TPL / adblock support in Edge. 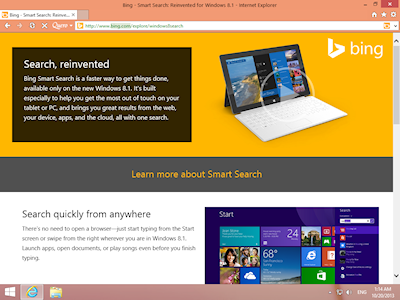 As the release of Windows 10 is coming closer, a lot of change is coming as well. You have probably heard of Microsoft's new strategy already to re-brand Internet Explorer and instead of releasing Internet Explorer 12, Windows 10 will include two browsers, IE11 and the now officially announced Microsoft Edge (formerly known under the cooler codename Project Spartan). 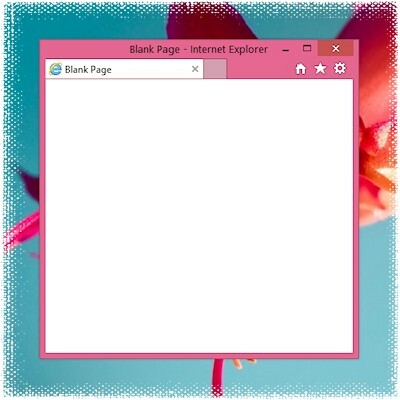 Edge is based on IE11 with most of its legacy code removed and it will completely retire the outdated ActiveX and Browser Helper Object model. 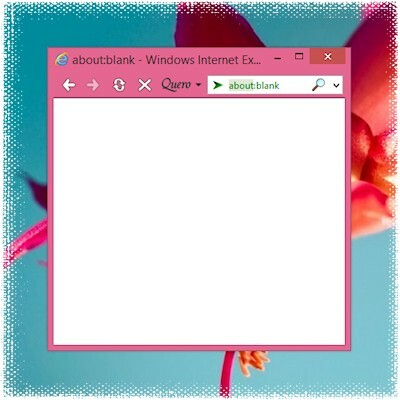 Unfortunately, this means that the Quero add-on will not be compatible with the successor of IE, Microsoft Edge, any more. I knew this will come one day, since I started this project, but I did not anticipate that it will last more than a decade. While Microsoft announced that they are working on a new add-on model, which could eventually run Chrome and Firefox add-ons, the current beta version of Edge removed support for Tracking Protection Lists (TPL) as well, which allowed add-on free (!) 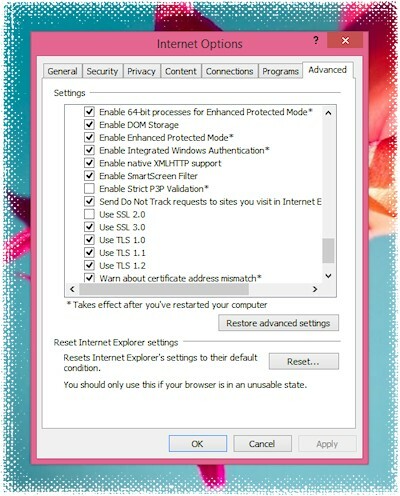 privacy and advertising protection in Internet Explorer. If you also think Edge should continue to support TPLs and adblock, please vote for it now on the UserVoice website. I hope we can bring native privacy and adblock support back to Microsoft Edge. Executive Summary: improved support for High DPI displays, IE11, and Windows 8.1 added. 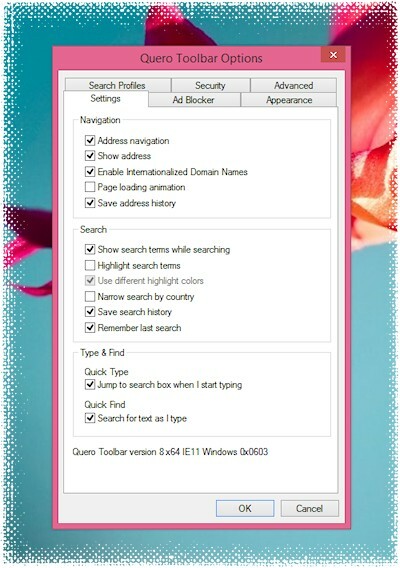 Quero Toolbar is an open-source navigation bar, search tool, and ad blocker add-on for IE11 and below. 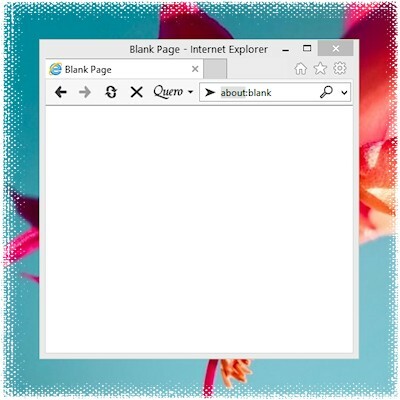 See IE11 Toolbar Flexibility for popular user configurations. High resolution displays, a trend which emerged from the mobile and tablet space (originally led by Apple's iPhone Retina display) is now quickly reaching the Windows desktop as more and more Windows 8 devices are released with high density displays such as the Full HD Surface Pro and Surface 2 tablet. Quero and Windows have long supported High DPI displays, but the support was until now not optimal. In fact, High DPI support requires substantial support from software publishers (ISVs) to correctly scale their apps, graphics and layout on high DPI displays. Quero Toolbar 8 now adds full Windows 8 High DPI support and features a set of fully remastered high-res icons in order to run on high resolution tablet and desktop PCs. 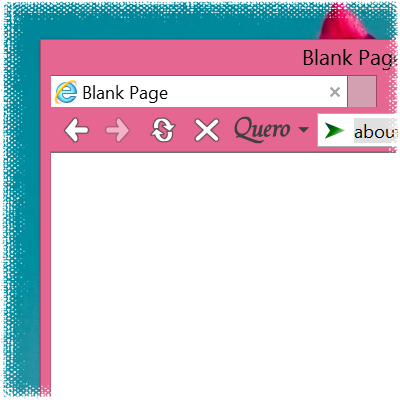 Quero Toolbar 8 has been modernized for Windows 8.1 but also works great on Windows 7, Windows Vista, and Windows XP. Check out the full change log below. As always, it is recommended to update to the newest version on all platforms. If you like the project, please continue to support Quero and keep it alive by making a donation. Thanks! 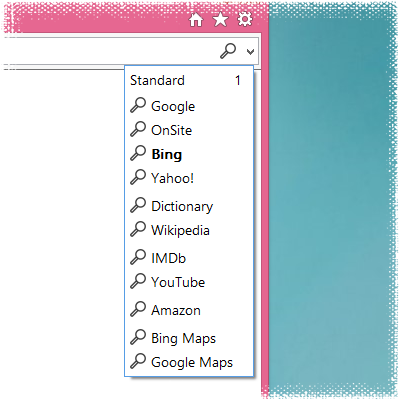 The search engine list has been slightly redesigned in Quero Toolbar 8 to match the new design of Windows 8. First the separator lines have been removed for a cleaner look and secondly you will notice the new search icon. Favicons are still displayed in the list, but the activation icon in the Quero box will now always display the new search icon. Tip: If you dislike favicons, you can switch them off under Quero > Options > Advanced. I have removed the dialog icons for a cleaner look and to save some 300 kilobytes on DLL footprint. For the first time there is now a new option to disable the address navigation feature and to use Quero as a pure search bar. For support inquiries there is now also a new version line in the dialog which displays the Quero, IE and Windows version at a glance. 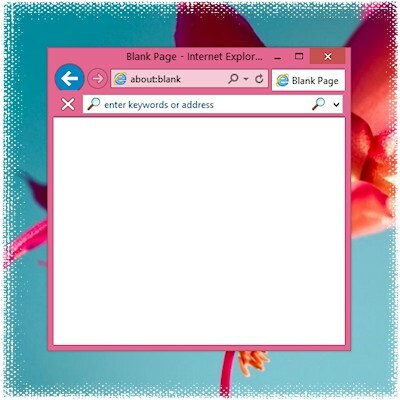 Tip: Use the keyboard shortcut Ctrl+L to toggle between search and navigation mode. If address navigation is disabled, Quero will always perform a search instead of a navigation. 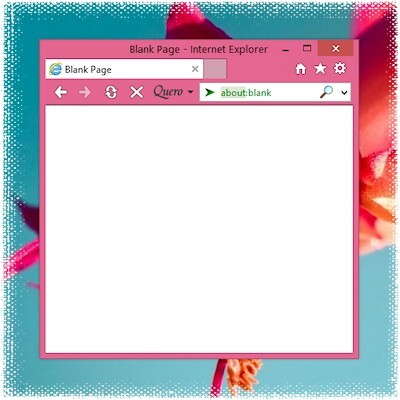 The white Quero Toolbar 8 icons are designed to blend in with the white icons of IE and Windows 8 and also work against different background colors and Aero Glass. This was achieved by adding an outline effect to the buttons in order to make them visible on all backgrounds. 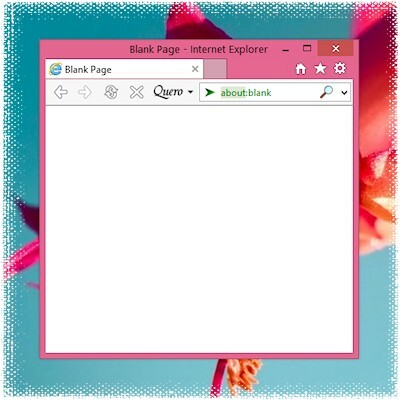 If you prefer flat, black buttons instead, here is a new theme for IE which works best in Windows 8 or when you have the Aero Toolbar Theme disabled. 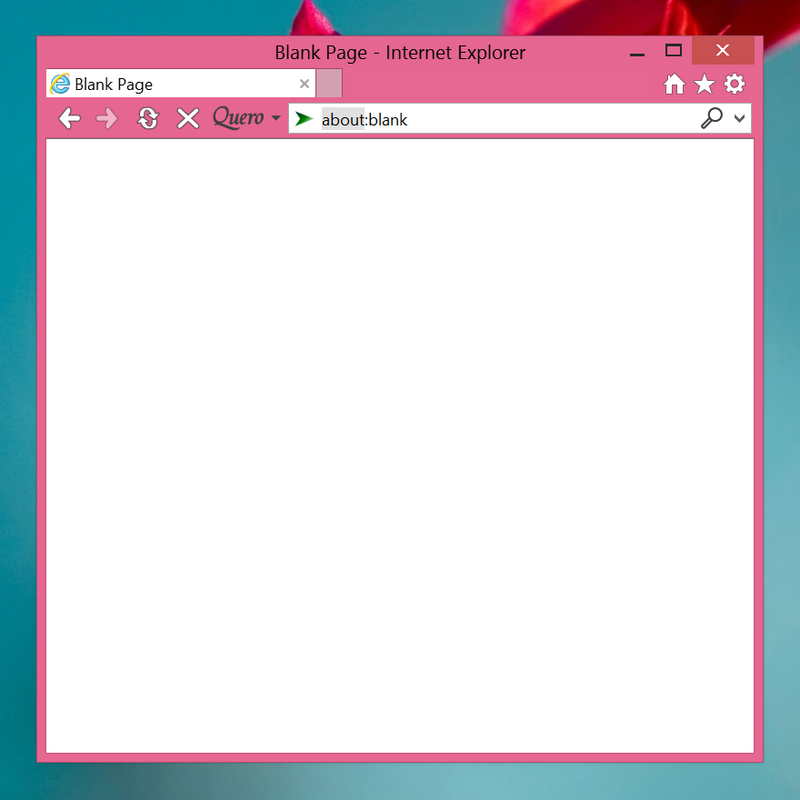 In order to install the theme download the IE Black theme to your Quero folder and specify the file location under Quero > Options > Appearance. Note: Enhanced Protected Mode does not allow to browse to the programs folder but you can still specify the path manually.